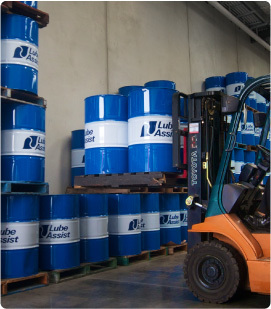 Lube Assist specializes in wholesale marketing and distribution of quality lubricants and related services. Our aim is to be the number one lubricant supplier of choice within the markets in which we operate, with a reputation for working with our customers to provide the best cost effective, flexible, high-performance solutions to meet our customers needs. We are and will continue to remain a customer driven organisation that ensures each of our customers receives quality service and products and that their expectations are fully satisfied. To ensure that consistent control of quality is established and maintained, we have developed and implemented a purchasing system that incorporates the requirements of Lube Assist. This system ensures, that where possible preference is given to a supplier who holds a valid quality certification ISO 9001:2000 standard. The delivery of quality service and products will be the responsibility of every employee and is fundamental to all our activities.